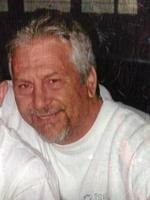 Michael A. Echeandia, 53, of Liverpool passed away at home. Mike is survived by his children, Michelle, Kayla and Michael; his step-children, Tonya, Laurie and John; his grandchildren, Cory and Jayden; his parents, Eunice (Mark) Emmons and Luis (Syma) Echeandia; his sister, Louise (Greg) Call and his niece and nephews. Calling hours will be Thursday, Jan. 31st, from 4 to 6 pm at Carter Funeral Home, 1604 Grant Blvd., Syracuse. Services will follow at 6 pm. Online condolences at CarterFuneralHome.com.